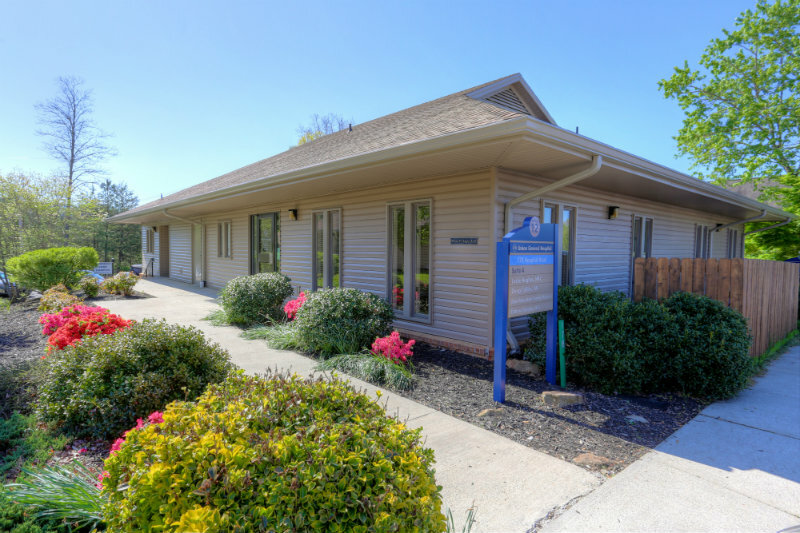 Union General Hospital cares about the people of this community and for the past seven years has offered alternatives for people finding themselves underinsured or without coverage. At Blue Mountain Family Practice, which the hospital owns, people can qualify for very low cost care on a sliding scale based on income. This is one of the best kept secrets in Blairsville. And it is not just discounted care, it is quality care from people you know. Leslie Hughes, FNP; Dennis Wood, PA; and Debora Quigley, MD have all been providers there for many years. We care about our patients and their situations. We can often suggest lower cost medications or when needed direct patients to lower cost therapies, Xrays or resources. We can see you for any number of issues like ongoing care for high blood pressure and diabetes to evaluation of headaches, abdominal pain, depression, anxiety and lung diseases. We offer services for many ages and problems. Whatever your problem, we work with you to come up with a plan to best address and fix your problem and provide you with the education and information you need to help yourself. We also see patients with regular insurance, Medicare, Tricare and all types of Medicaid. You get the same care, no matter your ability to pay. To be eligible for the sliding scale fee, you need to bring a tax return, paystub or a letter from your employer stating your income. The amount of discount depends on your income and family size and can be as much as 80% off regular charges. We cannot bill at these low rates and the visit must be paid for at the time of service. So whether you need a wellness check or have one of many chronic health problems, if you think you may be eligible for low cost care, give us a call and see. We want to help you stay out of the emergency room. We often have same day appointments available. Blue Mountain Family Practice is an affiliate of Union General Hospital. Dr. Debora Quigley has years of experience treating young families and children of all ages. The helpful staff is dedicated and above all genuinely concerned for each patients care and well being. Call us today at 706-745-4191 to learn more or schedule an appointment!